For exclusive hire please email your details and phone number to bookings@reigateonice.co.uk and we will get back to you within 24 hours. 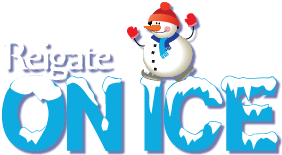 Reigate on ice makes the perfect school outing for school groups of 20 or more. This offer only applies in week days in the school term time, between 11am to 4pm. Please email your phone number and requirements to bookings@reigateonice.co.uk and we will get back to you within 24 hours. *We do strongly advice all schools must carry out their own Risk Assessment prior to their visit.